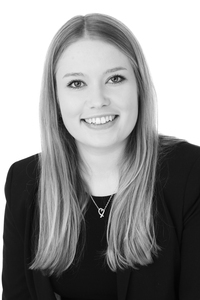 I am a Graduate Legal Executive in the Personal Injury and Clinical Negligence team based in the Guildford office. I read law as an undergraduate at the University of East Anglia and after taking a gap year to do some travelling I went to the University of Law in Guildford to obtain my LPC. I joined Barlow Robbins in late 2015. I work closely with Emma Potter and other members of the team, specifically on PI cases. I enjoy establishing a good working relationship with clients from the outset. I aim to work hard to prioritise clients' interests and help them not only progress with a personal injury claim but to also help them get their lives back on track. One of the most effective ways of doing this is pushing for early rehabilitation and funding for this from the Defendant from the outset of the claim. We have had some great results for clients who have received private rehabilitation early on. The sooner they receive this the quicker and better their recovery tends to be. I try to establish a dialogue early on with the Defendants to get them to agree to sign up to the Rehabilitation Code. Barlow Robbins is also a signatory to the Serious Injury Guide.